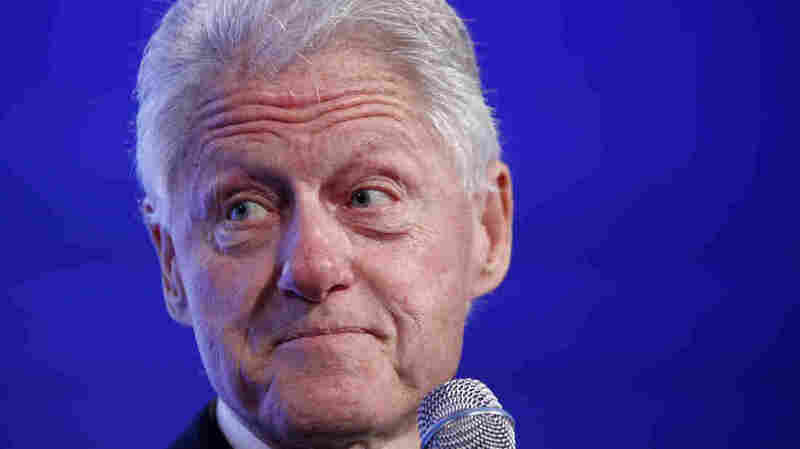 4 Things We Learned About What Bill Clinton Is Up To : It's All Politics Despite controversies with the Clinton Foundation, Bill Clinton is aiming to keep it going even if his wife, Hillary, becomes president. Former President Bill Clinton wants to keep his foundation running, even if his wife becomes president and "whether I'm running it or not." As Hillary Clinton is expected to officially launch her presidential campaign in the next couple of weeks, her famous, former president husband talked to Town & Country magazine, which went along with him to Haiti in February. 1. The Clinton Foundation is not going away — even if Hillary Clinton wins. "Whether I'm running it or not," he told Town & Country, which described it as a "priority" for the 42nd president. "I've told Hillary that I don't think I'm good [at campaigning] anymore, because I'm not mad at anybody. I'm a grandfather, and I got to see my granddaughter last night, and I can't be mad." The Clintons have been criticized for taking donations for the foundation from foreign governments, even while Hillary Clinton was secretary of state. It's no surprise that Bill is out front defending the foundation, which encapsulates so much of his legacy and the kind of work he wants to do in his post-presidency. 2. He's attempting to take some of the slings and arrows for the foundation. "[O]ur plan is to spend this whole year working on the foundation, which is, by a good long stretch, the most transparent of all the presidential foundations and more transparent than a lot of other major foundations in the country," he tells the magazine. "It should be, both because I believe in it and because Hillary is in public life, and we'll get criticized, as some people are criticizing me, for taking money from a foreign government. We did a review of the whole foundation last year. ... We got suggestions from a great law firm that also does pro bono counsel for Doctors Without Borders, and we implemented every single one of them." 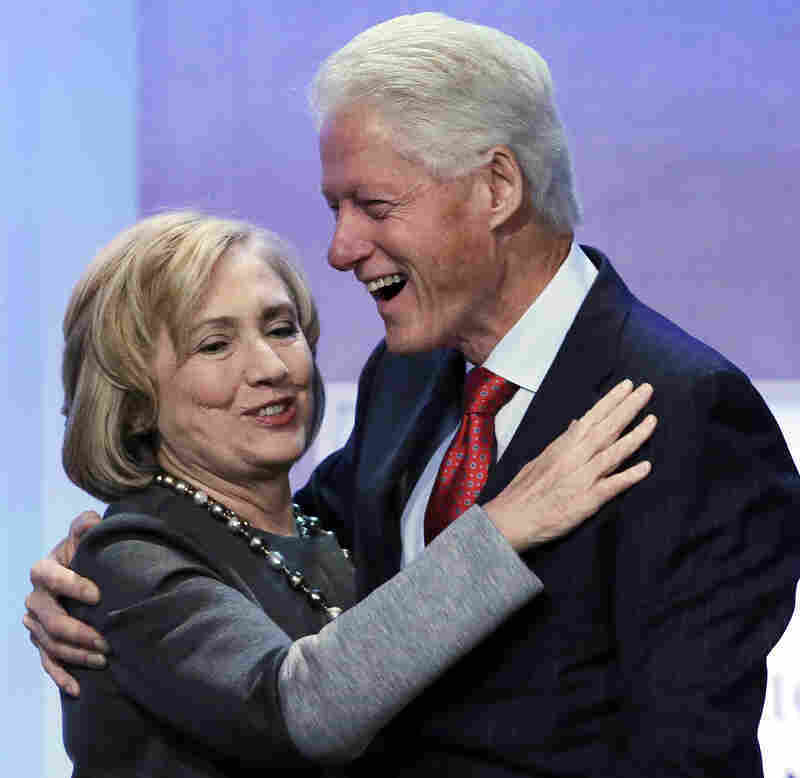 Politically, Bill Clinton is attempting to redirect any criticism of the foundation away from his wife and onto him. That's no accident at the precipice of another Hillary Clinton presidential run. 3. He affirmed the rumors of how Hillary Clinton will run in the presidential primary. Despite his claim to recede to the background — busy with running a foundation and being a doting grandfather — don't expect him to take a back seat in his wife's run. In the same interview, he was offering up strategic advice for how she should campaign. "I think it's important," he told the magazine, "and Hillary does too, that she go out there as if she's never run for anything before and establish her connection with the voters. And that my role should primarily be as a backstage adviser to her until we get much, much closer to the election." Bill Clinton's comments also affirm reporting that advisers are telling Hillary Clinton she should not take anything for granted. That means campaigning frequently — even without strong primary opposition — in early states like Iowa and New Hampshire. And why not? They are swing states in a general election, and it doesn't hurt to build up some energy and a base of activists and supporters. Hillary Clinton was also criticized early on in the 2007-08 primary race for running on name recognition. By the time she found her voice as a candidate, the math was against her, and Barack Obama had all but sewn up the nomination. 4. He's still not sure what kind of "first dude" he'd be. Bill Clinton also weighed in on his potential role as "first dude." "First, I would have to assess what she wants me to do," he said. "And second, we might have to change the [foundation] rules again. But we haven't talked about that yet, and I don't think we should. You can't. It's hard for any party to hang on to the White House for 12 years, and it's a long road. A thousand things could happen."